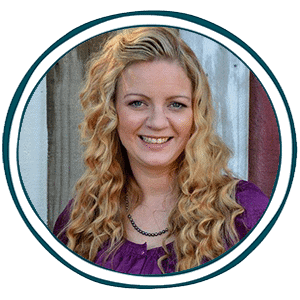 You are here: Home/FREE Homeschooling Resources/Homeschooling Freebies/Activity Bags: Ideas and FREE Printables! Are you looking for something to keep your little ones busy? How about an activity bag? Do you have little ones that want to “do school”? Or how about the toddler that may get into the crayons, markers or paint while you are trying to help your older children with their school work? Enter the Activity/Busy Bag! 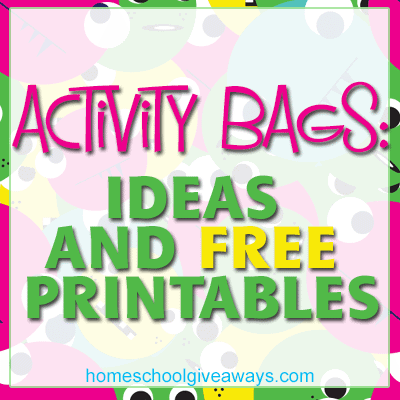 Activity Bags or Busy Bags are a great way to keep your little ones busy. When you need a moment for them to play quietly alone you can just pull out a “busy bag”! You can store them in a colorful milk crate up high on a shelf to pull out at specific times during the school day. I love pulling them out during certain times because it becomes a special treat for them to look forward to! You can even have nice quiet bags set aside for church or meetings or doctor’s visits etc.. The sky is the limit when it comes to creating these bags, they can be super simple or detailed by themes. The Sunny Patch has an entire post on Activity Bags with a printable list of activities and supplies. Walking by the Way has a very inexpensive and simple idea of a bean sorting busy bag! Playdough to Plato has a fun busy bag called Slippery Fish. I Can Teach My Child has a cute activity game called Pom Pom Push. Calm in the Midst of Crazy has TWENTY FOUR different Activity/Busy Bag Ideas with printable pdfs of directions and supplies. Love the idea of a busy bag swap! See Vanessa Craft has 12 Busy Bag Ideas for Preschoolers. Many of these have fun printables included! 1+1+1=1 has a fun twist on an activity bag. She has created Tot Packs. Tot Packs are themed folders or envelopes with fun laminated cards and games. Check out this HUGE list of Tot Packs! These are all FREE Printables! There are books, tv characters, holidays and much more! CurrClick has “Preschool Activities in Bag”, “Reading Activities in a Bag”, “Science Experiments in a Bag”, “Math Games in a Bag,”, and “Crafts in a Bag!” Although not free, they contain a plethora of awesomness! If you want to make your life even easier you can purchase pre made busy boxes all ready to go! This is a genius idea from our friends over at Little Learning Lovies. They have enjoyed bringing printable games into homes all over the world for the past several years. Yet there are many teachers and moms that just don’t have the extra time to print out and put together all these fun printables so they have come up with these great busy boxes where every game is ready made and shipped to your door, ready to play.